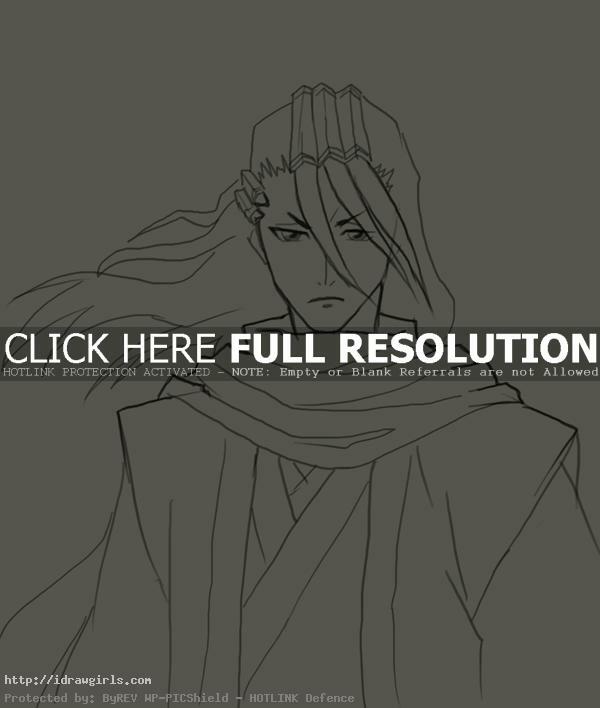 How to draw Byakuya Kuchiki from Bleach Manga. Learn basic drawing technique for Manga and Anime from step by step basic drawing lesson. In this tutorial you will learn to draw a Bleach character Byakuya Kuchiki with basic instruction for beginners. First, you can use simple geometry shapes to construct the basic Manga head and body. It will make your drawing process a lot easier once you get the shape and proportion right. You also have to make sure the shape of facial elements are correct and put each element in the right spots. I usually start of using sphere or egg shape as a base for character’s head, then next step would be figuring out the next basic shape to fit into the image. Byakuya Kuchiki, 朽木 白哉, is the 28th head of the noble Kuchiki Clan, one of the four great noble families in Soul Society, and the captain of the 6th Division in the Gotei 13. Byakuya has slate gray eyes and long black hair, which he keeps up in intricate white headpieces called kenseikan that symbolize his nobility as the head of the Kuchiki family, one on top of his head and another on the right side. As the 28th head of the Kuchiki clan, Byakuya acts in an aristocratic manner — he seems always serene and apathetic towards other people, even when he is actually deeply conflicted. He is also extremely calm, even in battle. He generally acts indifferent, bordering on arrogance, to most situations that he is faced with as shown from how he rarely views his opponent as being worth his time. 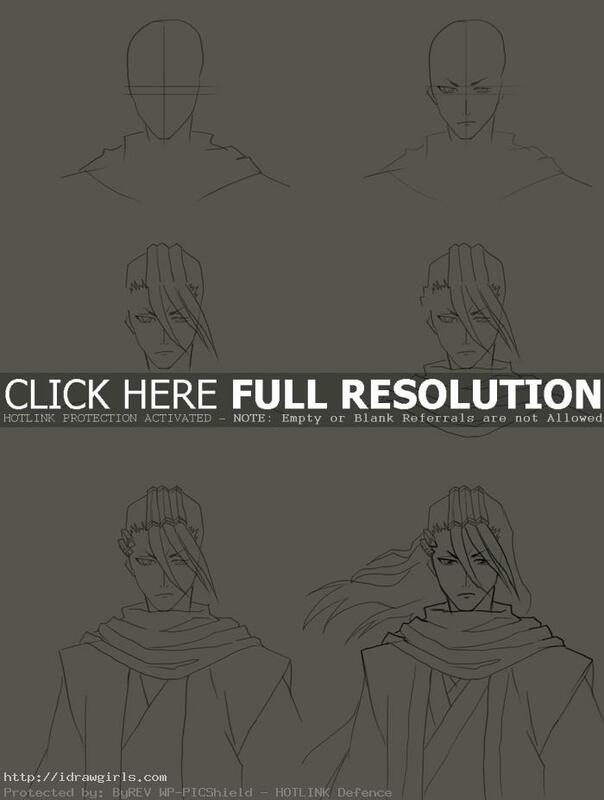 Below are step by step how to draw Byakuya Kuchiki from Bleach. Step one, I drew his head and shoulders along with facial construction lines. Step two, I drew his eyes, nose, mouth along the construction lines. Step three, I then added his hair style in the front. Step four, I drew the rest of his hair and scarf. Step five, I then began drawing the upper part of his costume. Step six, I finished up the drawing with darker lines. Wow, thank you so much. Your tutorials are very helpful!